Maldives: Gangehi Island Resort – full report! 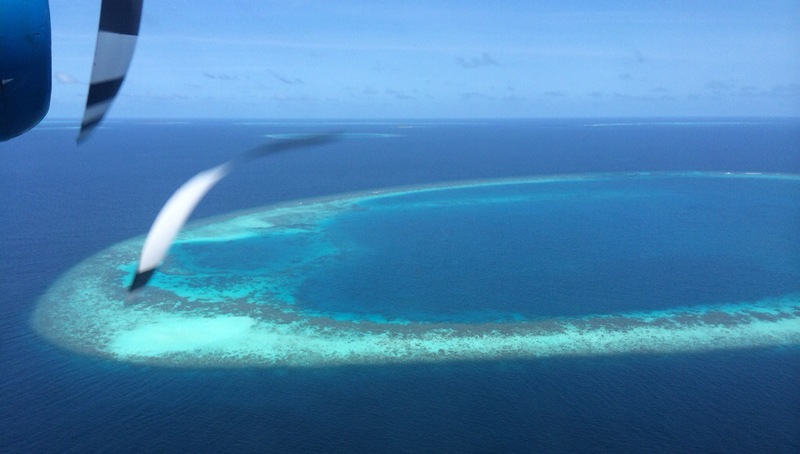 This is a small island in middle of the ocean, only 25 min by seaplane from Male. Likely you will stop at other islands before you get to it. What’s small? To give you an idea – we walk around the island in 5-10 min max. The island has no locals, only the resort. The locals, Indians, Sri Lankans etc that you see are the staff. The resort is owned by Italians so you will be in luck if you speak Italian. We recommend this island to people who seek complete quiet and peace, or families with children. There is no nightlife, or excessive crowds or activities. Perfect for relaxing and enjoying the pure nature. Also this happens to be one of the cheaper islands; but you get what you pay for. If you like to be attended hand and foot – don’t visit this island. Set expectations accordingly – for us the food got boring. Tonight they have a Maldivian dinner so we hope that will be exciting. What a peaceful setting to practice your daily yoga. There is one restaurant, one buffet, and a bar. Prices are all in Euros. We prefer half board to full board as we don’t eat all day long. Also we found that this is cheaper than the full board. Btw don’t expect great service, you maybe sitting for more than 5 minutes at the bar before you see a menu or someone you can hail down. We are not sure if this is unique to this island or not – we will let you know from our next island! Best way you can enjoy this unreal Maldivian colors beauty is with lot of protection. Bring a lot of sunscreen – buying it here is not a good idea, since it is triple the cost. We sunbathed in the shade for the first two days and still got color. There is a great sandbar that is exposed every morning and evening perfect for a nice walk and swim. We can’t get over the colors and clarity of water; the sharks, mantas, the little fish that basically swim with us right off the shore. So before we leave Gangehi in 2 days – do you have any questions for us about this heavenly place?? We got lucky to see the resident small black tip shark right on the beach swimming next to us. For American Express folks – insist on asking them to use it. They state that they accept this card in their print materials but at front desk they will tell you another story. We have one regret 😦 we don’t have underwater camera. You should seriously consider buying one before coming to Maldives!! Really ! Really! 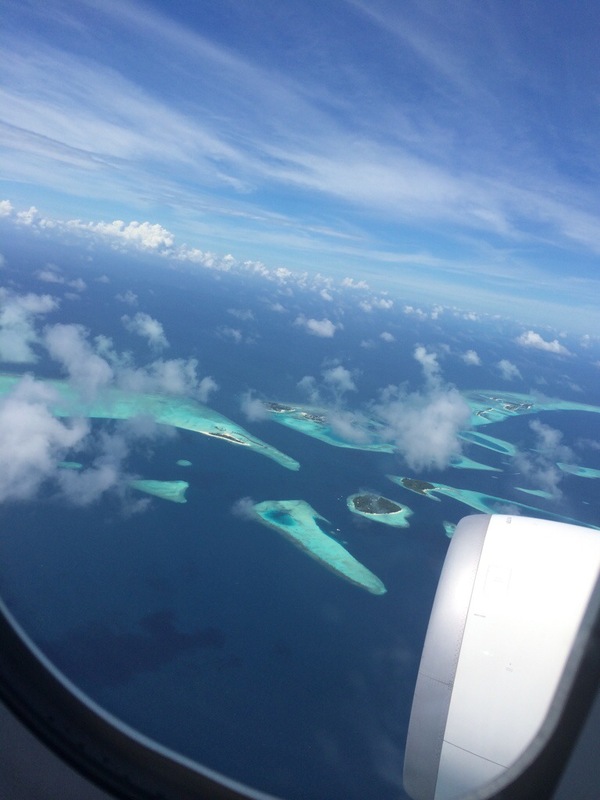 Maldives: Tips, Tricks, and what others won’t tell you! Cost – Not all islands are super expensive. 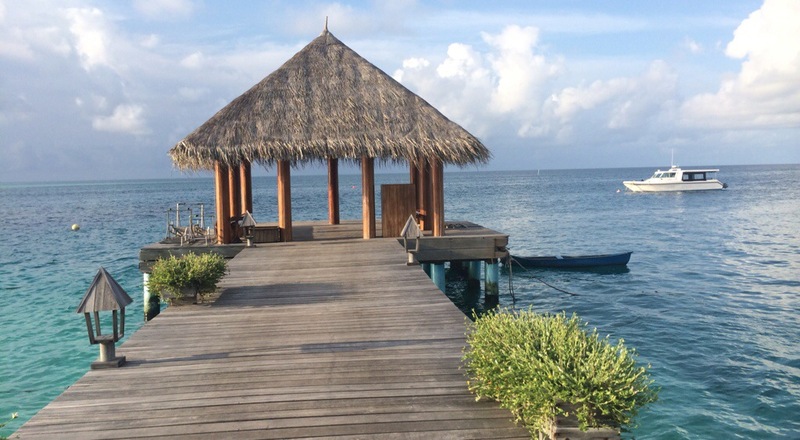 You too can have a Maldivian holiday without breaking the bank. For example Gangehi Island and Resort is such place; it is decently priced under $200 – $300 and still beautiful and comfortable. We steered clear of cheaper locations because at some point you do get what you pay for. Make no mistake, this is not a cheap vacation no matter which way you do it, but you have options of paying $5000 per night vs $300 per night. Male – not an exciting destination. Unless you care to see the local culture up close, you can skip it and head directly to your island. Transportation between islands – none will tell you the truth about this one. Basically all resorts claim to pick you up from Male and drop you back off. So like us, if you plan to travel to multiple islands they won’t offer a solution to take you from one to the other. Makes sense for the at nearly $500 per person per flight – they know how to make money! What might help is to stay at island that are very close and you can proactively ask before booking if there is a speed boat option. This is what we did for the other two islands – they are close to each other 25 min by speed boat at $75 per person. Prices – when you are at Male best to use Rufiyah. But at the islands you can use dollars, euros, or credit cards. But beware some islands like Gangehi will charge you in euros, you have no other choice, plus 10% service charge and 8% government tax. Maldivian food – don’t expect to see it except in a street dive at Male. Resorts serve international fare. Anyhow there is not such a thing as original Maldivian food – it is a fusion of Indian, Sri Lankan, Arab types of foods. This is day 3 – so if we do encounter something different we will certainly tell you and show pictures. Seaplane to Gangehi – first stop! Today we hopped on a seaplane for the first time. We are certified travel junkies and love trying new things. Yesterday we walked around Male – literally, yes it’s that small. We walked all the way down Majeedhee Magu (street) until we reached the artificial beach, about 15 min from our Hotel Octave. Male does not have natural beaches so they made one. Locals were swimming, it was great to see women enjoy a dip in cool waters. They were fully dressed, per their culture they could not wear skin revealing clothes let alone bikinis. Official religion is Islam here. Tourist are expected to be modes, but we have seen people in short and tank tops. We also sat at the BreakWater cafe, it was filled with locals. Don’t be surprised at ratio of women to men. Generally it’s like 10 to 1; did not deter us but does make it uncomfortable at times when the whole place is filled with men. Took a long walk by the shore; was fascinating to see the modern and old ships side by side. 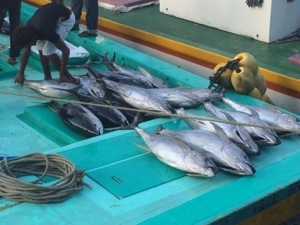 The seamen had returned from the sea and were pulling out the fish – this was a sight to see. Endlessly rewarding mentally and culturally when one sees others’ way of life. Dinner was had at a seaside sweet restaurant called SeaPort. Again mostly filled with locals; we and one other tourist were the foreigners. Naturally we had seafood – we are yet to sample true Maldivian food. Male had contracted the global disease called ‘modern food’ – so you have higher chances of eating a pizza than stumbling on something really local. Ok — we are off to book spa and catch a yoga session! Next episode: tips, tricks, and what others won’t tell you. Eat and maximize your skin hydration by this amazing delicious great foods. Let’s count them with their blessings. Coconut oil -has amazing deep moisturizing properties due to similarity of skin structure to the skin’s own bio-support network. Kale- packed with vitamins & antioxidants and vitamins A, C & K which fight skin damaging free radicals & help reduce dark circles too. Block the growth of skin cancer cells also isn’t that amazing? Avocado- because of it’s hydrocarbons and natural oils called natures oil. Strawberry- made of more than % 75 of water and that helps your skin your to maintain hydrated & glowing skin. Watermelon- % 93 water multivitamin cocktail of C, B6 & A repair and protect your skin while hydrating. Cantaloupe- vitamins K & E keep your skin healthy and radiant also with choline replenish and rejuvenate. Chia seeds- work beauty wonders. Pumpkin seeds- strengthen week skin structures. Walnuts- increasing your skins ability to hold onto moisture. Olive oil- with very high nutritive value hydrates the skin & balances the pH levels. I feel lucky now it’s easy to keep hydrating during hot summer deliciously. Coffee: Turkish? Greek? or Arabic? As a certified coffee /kahve lover I can’t believe I have not written about this topic before. As I sip my Turkish kahve this morning, I decided to finally share my love and also explain for everyone what’s what about this coffee. First of all, the type of coffee we are talking about here is a small cup (little larger than expresso) of roasted coffee . It certainly can give you a nice jolt. Sooo… where did this coffee tradition come from? This is a hotly debated topic – really – especially across Europe, and Middle East. Why debated? Such a great cup of coffee that everyone wants to claim it as theirs! 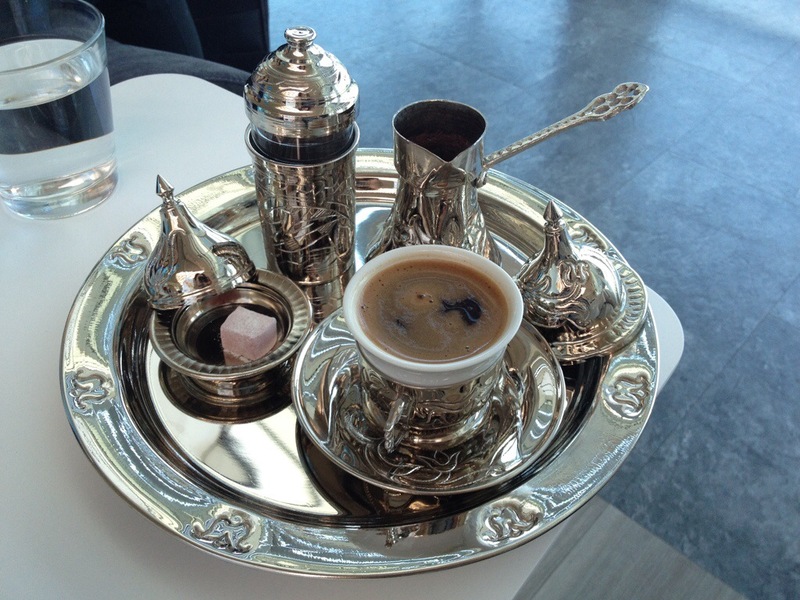 If you are traveling in Greece – don’t dare to call it Turkish or Arabic coffee, they will promptly correct you with ‘huh, what? we don’t have that, would you like Greek coffee?’. 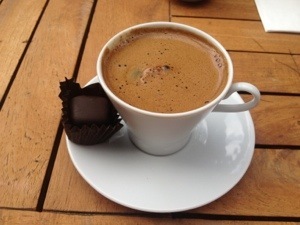 If you are traveling in Turkey, not advisable to call it Greek coffee either. So whatever country you are at calling it as theirs will get you a coffee you will be pleased with. Unless you want to anger the waitstaff and drink a bit of spit or who knows what in your cup! So where do the Arabs come into this picture??? Well they have been making and drinking this wonderful coffee too. Hence they have a claim as well. Ok so let’s cut to the chase: it is originated in Yemen – during the Ottoman Empire era Turks adapted it around 1640, and made it what is today. 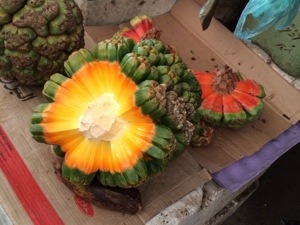 And what you get in all other regions and countries are different variations and flavors of the same thing. I love all of them! except for the sweet kind, could be way too sweet for my palate. This coffee has infused into the cultures and has become part of the daily rhythm. This is what I love about it – it is not just an occasional thing. Hard to explain unless you grew up on grandmas laps who sipped this coffee while they entertained guest and chatted away life, worries, love, children, money, and all kinds of neighborly gossip. Some of you no doubt know what I am talking about. This is not a coffee for the faint hearted, it is strong depending on the how roasted it is and how much is used in making it. It is an acquired taste. I prefer to drink it without sugar, and rarely ‘medium’ meaning with a tiny amount of sugar. Some people also are able to read the leftover coffee granules as in fortune telling – it is really a fun thing. Similar to reading tea leaves… Had it done couple times, was fun full of speculation and some things were actually semi true Oooooo! So next time you are traveling through any of these lands… order one and enjoy it!! Share your Kahve moment or picture with us – tell us how you enjoy your cup! Note: both photos displayed here are taken by surprisesaffron (c). please drop us a note if you want to use them.